Hey all! 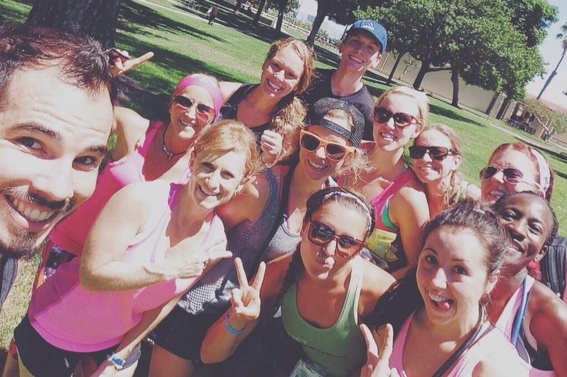 Currently at the awesome IDEA Fitness Convention & BLOGFEST and I have loved meeting everyone!! Can’t wait to recap it all and you can totally follow along on Instagram! While I’m away – you guys will play because my friends at NOW foods totally made my day the other week by sending me some new products that not only I got to try out, but a lucky winner will get to as well! So what was in the bag? Maybe the question should be what wasn’t in the bag because it was packed full of a ton of awesome products! Sugarless Sugar (something new to me!) which is basically a Non-GMO 1-1 sugar alternative made from natural Erythritol – I loved baking with this since it was basically like granules of sugar. Arnica Cooling Relief Gel contains 10% Arnica to help soothe away muscle tension and occasional soreness. It penetrates deep and goes to work quickly to provide fast relief, and is gentle enough for daily use. Whenever I chill out at night & relax I’ll use this on the muscles! I looove the soothing smell too. Better Stevia is my JAM! I love this stuff & I add it to everything from oatmeal, to powercakes, to drinks! Organic Rose Hip Seed Oil (this was new to me!) – Extracted from the seeds of Rosa canina, Pure Rose Hip Seed Oil is rich in Omega-6 essential fatty acids. This oil can be used to aid in skin cell renewal to replenish a healthy glow and helps damaged skin. I used a few drops on my hands since they tend to be dry & I really liked it! Nourishing for daysss. Triple Seed Omega Mix – LOVED adding this to my oats!! Loaded with hemp, flax, & chia. Branched Chain Amino Acids – something I use every day in my drink mix at the gym while working out. I like using BCAA’s because of the eight essential amino acids that cannot be produced by the body, the three branched-chain aminos Leucine, Isoleucine and Valine are of key importance (and they are provided in the BCAA powder). Plus I like that the NOW brand doesn’t have any added (what the heck is that?) ingredients. I’m not saying OMG you have to go run & take BCAA’s, like, NOW – but I am saying that if you’re interested in trying them out to see how you feel with them – the NOW Brand is a nice choice! Stevia Tabs – best invention ever? Pretty close. I’m a stevia-junkie (especially with coffee) so these were a GREAT addition to my purse! Because, yes, I take stevia with me. Digestive Enzymes & Probiotics – match made in powercakes heaven. I’ve been regularly using digestive enzymes after meals & also taking a probiotic daily for months now and I honestly have noticed a HUGE difference. It also helps keep you ‘regular’ if you know what I’m sayinnnn. Chocolate Chip Banana Bread Mix & Organic Chocolate Fudge Brownie Mix got me super excited to get in the kitchen & start baking! My mom & I actually made the banana bread to take on vacation & then made the brownies at home and added some dried cherries in them – DELISH. Leave a comment below stating which product you’re most pumped to try! Subscribe to my Blog on the main page so you don’t miss a post or giveaway! Open to US Residents until midnight EST on NEXT Wednesday, August 20th! High Protein Tahini Yogurt Onion Dip [Recipe]! Umm can I say all? haha but the Arnica Cooling Relief Gel sounds wonderful! 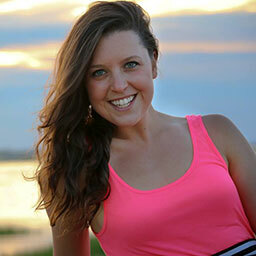 Liked you & Now Foods on fbooky. Am already subscribed and can’t wait to officially meet you in a week! Probably the BCAA cuz well why not? I love NOW but that coconut stevia has my eye! Stevia of course! All the stevia! 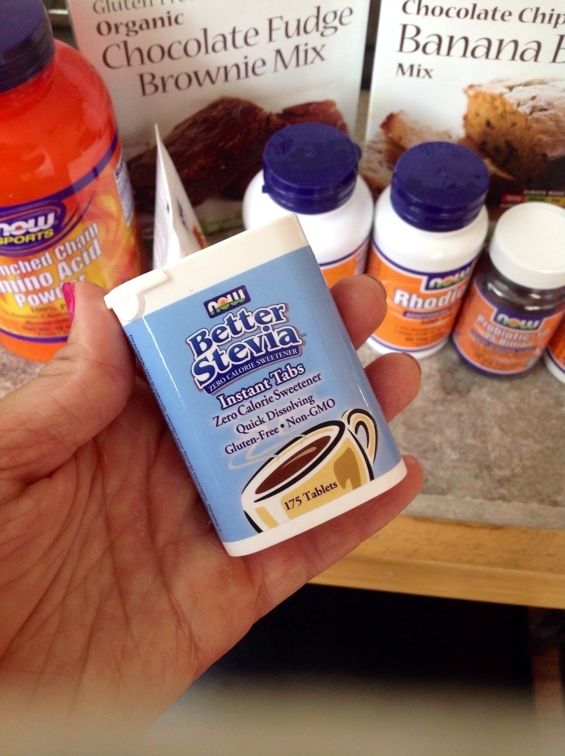 Better Stevia! I would love to try it in my coffee. I would love to try their baking products and stevia! I love their supplements! I really wanna try the stevia:)!! I liked you guys both on facebook:)! The relief gel would come in handy… and I’m not just saying that because since my shoulders are still aching from weightlifting session yesterday and that gel would be amazing right now. I just bought the Now digestive enzymes but I’d love to try the MCT oil! My sisters and I all have big sweet tooths and are always looking for alternatives for baking! Would love to try the brownies or banana bread! Would love to try the English Toffee Stevia!! Yummm! I would love to try the rose hip oil! I already use BCAAs so it’s a toss-up between the massage gel, the english toffee stevia and the MCT oil. I love brownies so i wanna try the brownie mix the most! I’ve always wanted to try those different kinds of stevias! Since I am SO super lazy when it comes to baking I would love to try the banana bread mix! I really want to try the BCAAs! I’m looking for a new brand! I love Now products. I’ve never tried their probiotics before and I didn’t even realize they had gluten-free food mixes. You’re going to make us pick ONE? I would like them all please. If I MUST pick one, I’ll go with the digestive enzymes/probiotic. But really, I could and I would and I should use every one of them! shoot. typo in the email of my last comment. this is just a follow up. I like power ales and now foods on Facebook! I would like to try the probiotics and digestive enzymes. I’m looking for something to help me in that area. 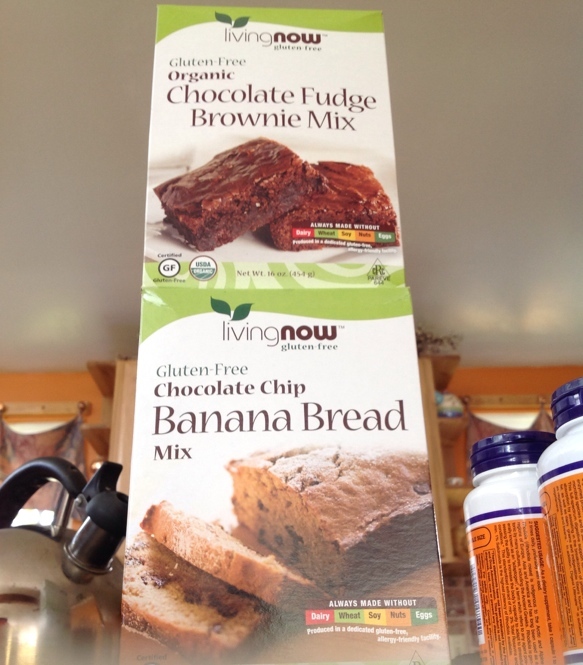 I’d love to try their gluten free banana bread mix! Also I bet that coconut stevia is awesome! I would like to try the MCT oil! I like you and NowFoods on facebook! I want to try the BCAAs. I’ve been debating using them or not since starting crossfit a few months ago. All all all! Every single thing NOW included for you to try sounded awesome! I would love to try the baking mixes. OMG – this is great!!! The Probiotic 10 for sure!!! I would love to try all of the different stevia flavors. Coconut sounds perfect for coffee! Oh, so terrible STOKED to try the Arnica Cream. Though when it comes down to it, I WANT TO TRY IT ALL. I’d love to try the Chocolate Chip Banana Bread Mix! The Better Stevia sounds awesome! The digestive enzymes and probiotics…hands down. My digestive system is a hot mess. I like Now Foods and Powercakes on Facebook! Coconut stevia!?! That sounds amazing! This is a great giveaway, thanks Hoping to win! I am commenting, liked both fb pages, pinned, and subscribed! You are awesome Kasey! Thanks for inspiring us all! 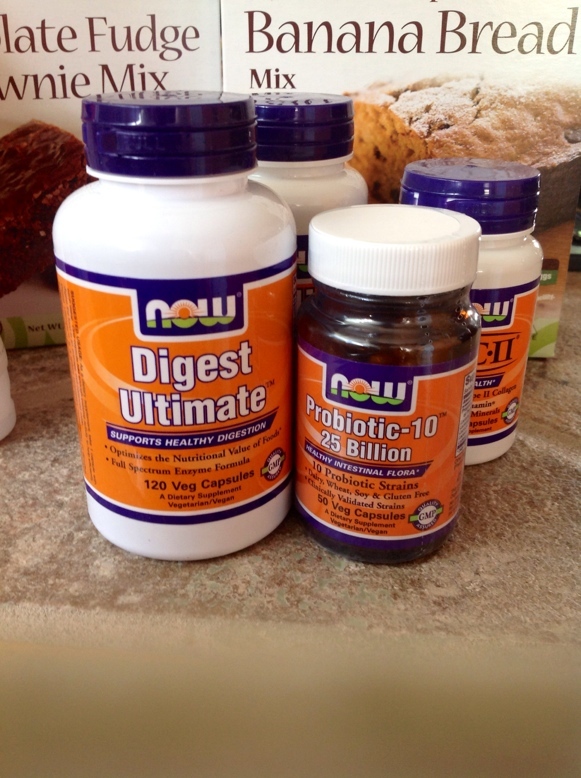 Digest Ultimate and the coconut stevia both sound fabulous………actually it all sounds fabulous!!! Thanks for the chance and have a blast!!! Stevia tabs! I carry Stevia with me at all times too! The brownie mix looks phenomenal!! 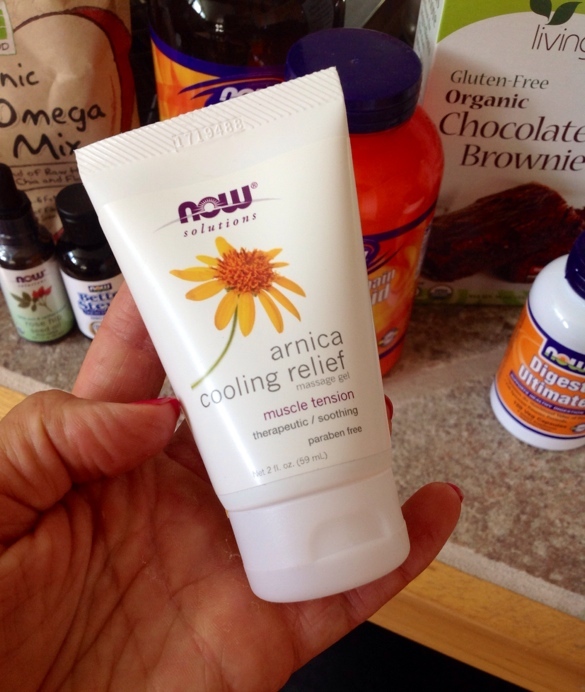 Arnica Cooling Relief Gel is the product I’d really like to try. The Coconut Stevia sounds amazing! I think I am in need of Digestive Enzymes & Probiotics for sure! I’m absolutely crazy over Now’s Better Stevia; even before it was called “Better” it was the best on the market. I’d love to try some of the other products such as the amino acids. I liked Now Foods & Powercakes On Facebook. 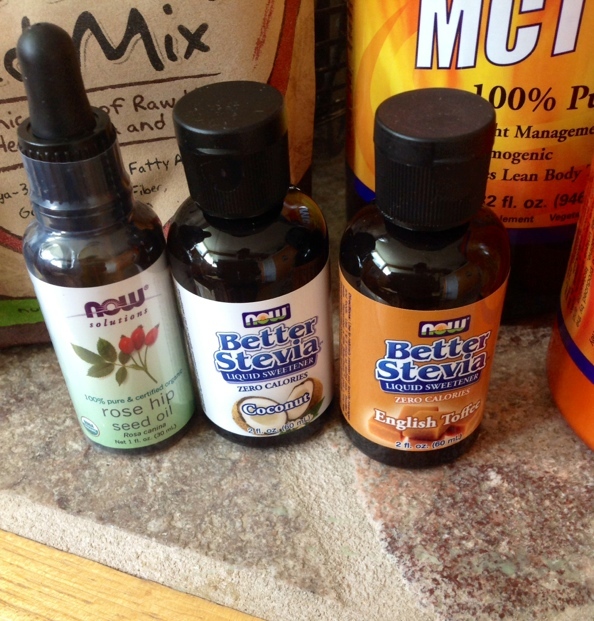 Would love to try all of the flavors of Better Stevia. Sounds delish! I’d love to try to non-sugar sugar! Branched Chain Amino Acids ! I want it all!!! But love the stevia tabs!!!!! I already subscribe to your awesome blog. Id love to try the arnica cooling gel! I tweeted the giveaway on Twitter. Praying I win this one. I love your blog and would love with most to try rosehip oil.